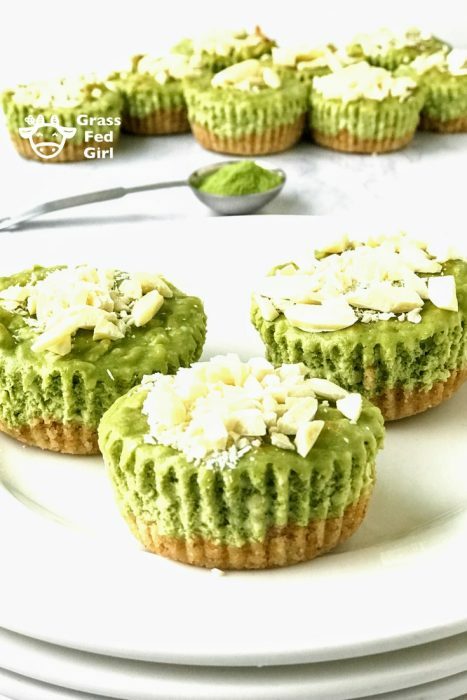 I love matcha green tea and cheesecake so I thought I would put them together to make one amazing keto dessert. This one is green so you can take it to your St. Patricks day celebrations. Matcha has amazing antioxidant value but it is important to get it from a clean source because of pollution. 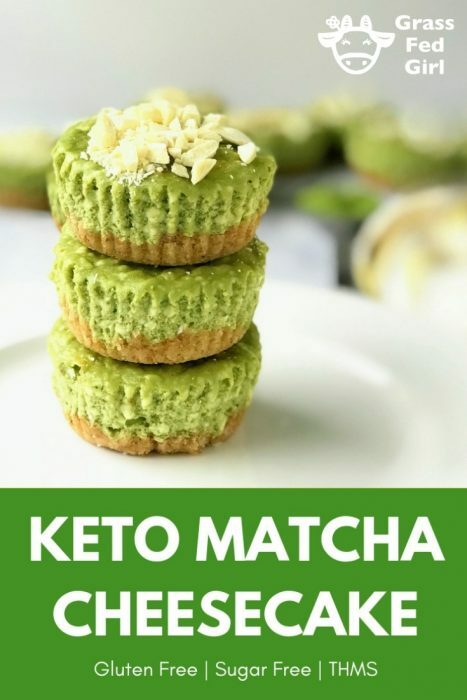 I love the one from Perfect Keto because it is presweetened with stevia and has the creaminess of coconut oil added to it that make is smooth and very drinkable. I am sensitive to the caffeine in coffee and have not had it in many years since I had my health breakdown in 2010 and was diagnosed with Hashimoto’s thyroid disease. I decided not to have caffeine then and it helped a lot with recovering my mood and energy. Anytime I have coffee again I am addicted in one day. Like I will get a headache and even feel nauseous if I dont get the kit of caffeine again the next day. It is crazy! 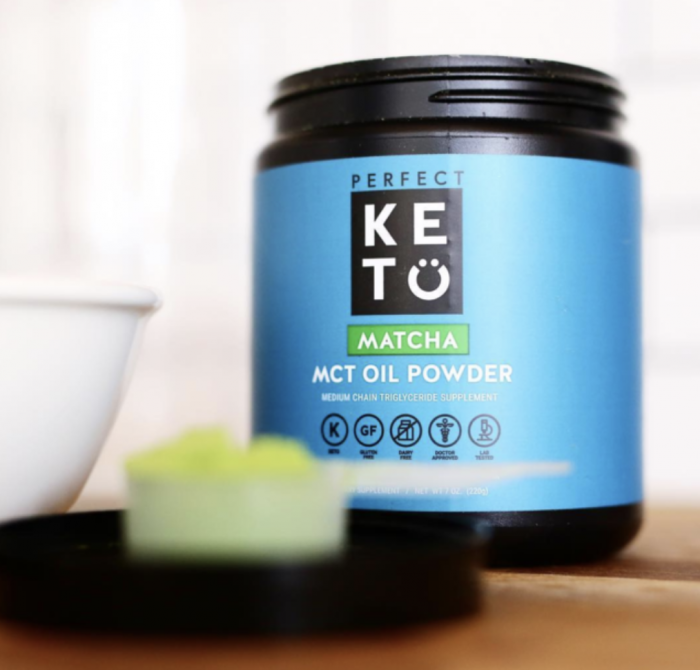 But that all changed when I tried the amazing matcha from Perfect Keto. I like to mix it with hot almond milk and make a matcha latte. The crazy part is I can drink matcha whenever I want and I don’t have a withdrawal feeling if I don’t drink it. It is not addictive the way coffee is and I get a boost of energy but not jitters followed by a crash like I do with coffee. You will love it as much as I do, guaranteed! 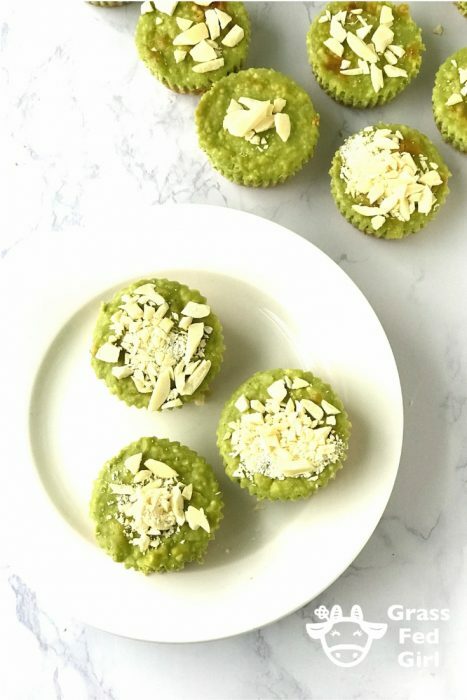 It is already sweetened with a little bit of stevia which is nice when you are on the go and don’t want to fiddle with a bunch of packets. A lot of matcha tastes like tree bark so if you have had them before and didn’t like it then give this one a chance. It is the nest one I have tasted hands down. Order my favorite smooth and creamy matcha here. 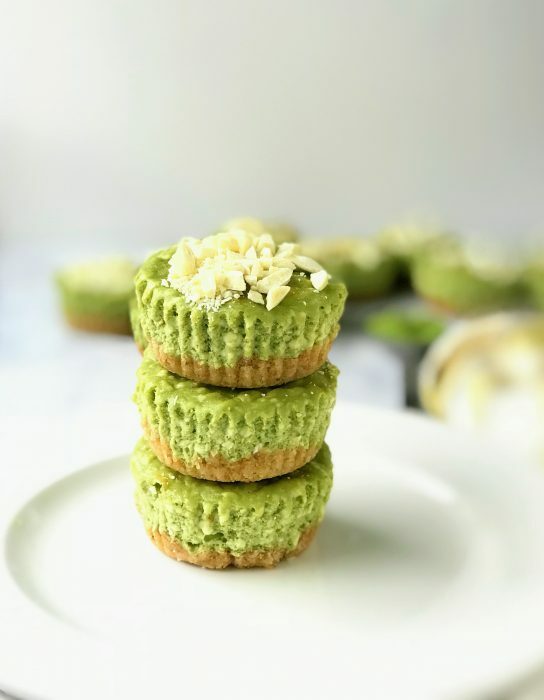 It even works in this awesome Keto matcha cheesecake recipe! Put the cheesecake ingredients in one bowl and mix with a hand mixer until well blended and set aside. Preheat the oven to 350 degrees. Mix the crust ingredients in another bowl. Line a muffin tin with paper liners. Press the crust mixture evenly into the bottom of the muffin cups until it is about 1/4 inch thick. Pour the cheesecake mixture into the muffin cups until they are about 3/4 inch full. 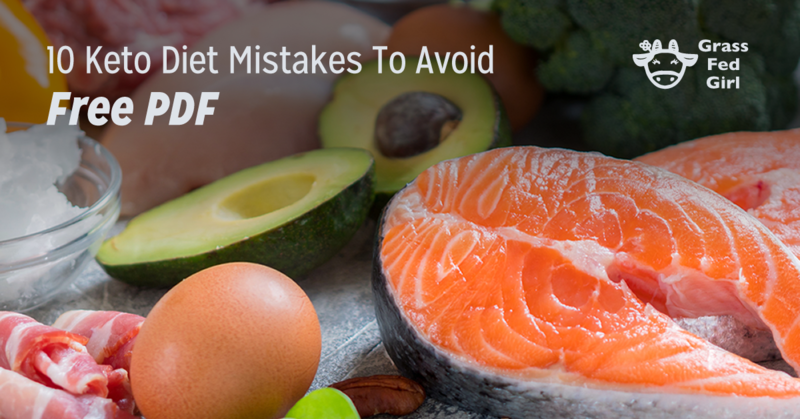 Place the muffin tin in the oven for 20 minutes or until a knife inserted in the center comes out clean. Remove them from the oven and let them cool off, then transfer to the refrigerator for an hour or until chilled. Top with the cocoa butter. Serve and enjoy. Note: this will work as whole cheesecake in a glass pie pan but the cooking time may take 5-10 minutes longer.